Q. Can I store this in the pantry or does it need to go in the fridge? A. 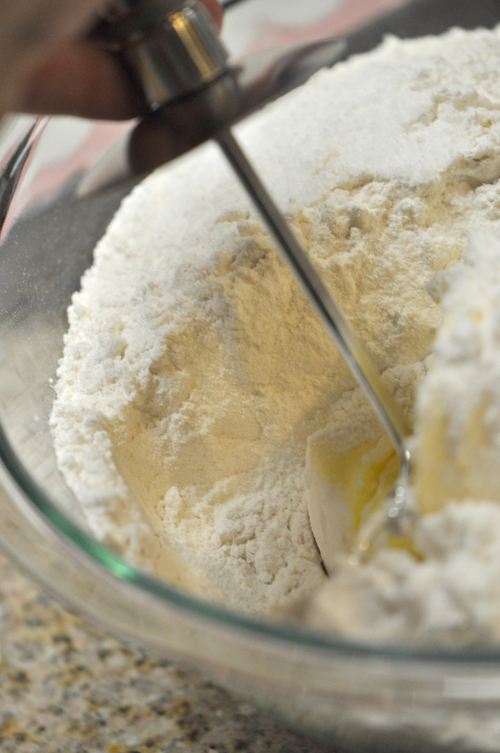 You can store this recipe that uses shortening (not butter) in a sealed container in the pantry. Q. Is that Pastry Blender electric or how does it work?– I wish I could see it better. Q. Do I have to have a Pastry Blender? A. No. Truth be told, a lot of folks use their food processor, but if you recall my food processor and I very much dislike each other… we are actually thinking about therapy… but I really don’t think she is going to change (and I know I am not ;)), so I usually just glare at her from across the kitchen… Anyhoo, prior to getting the awesome pastry blender for Christmas, I used to opt for blending with two forks, it just takes a bit more time and elbow grease. 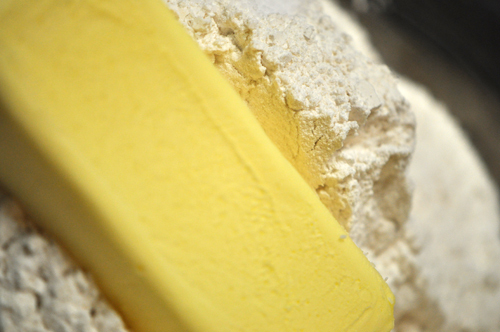 Yep, we make our own pie crust all the time. It is so much better than the store bought kind. I love the idea of making a mix though and keeping it in my pantry!